Welcome to the 4th University of Chester Archaeology Student Conference, supported by Cheshire West and Chester Council’s Grosvenor Museum. Since 2016, single-honours final-year students on the University of Chester’s Archaeology degree have organised and delivered a public day conference exploring archaeology in the modern world, including the politics of the past and public archaeology. These events combine student presentations with special guest lectures by experts in the field of public archaeology. The first event in April 2016 – Dead Relevant? Mortuary Archaeology in Contemporary Society – considered digging up, displaying and writing about human remains and mortuary contexts in the contemporary world. This conference led to a published academic book which included student essays alongside work by heritage professionals and academics: The Public Archaeology of Death (Williams et al. 2019). The second student conference was in April 2017 – ArchaeoEngage: Engaging Communities in Archaeology – and focused on community archaeology and public engagement via the real-world and digital media. A book is stemming from this conference too, once more with student contributions alongside chapters written by experts. Public Archaeology: Arts of Engagement enters production in the summer of 2019 (Williams et al. forthcoming). The third conference took place in December 2017 – Digging into the Dark Ages. This event evaluated the Early Middle Ages in popular culture and public archaeology, with a proceedings volume yet again in production and due out in late 2019/early 2020 (Williams and Clarke forthcoming). This fourth conference coincides with the 50th anniversary of the Offa’s Dyke Assocation, and also taking place in the climate of day-by-day turmoil regarding the UK’s departure from the EU. With borders and frontiers never far from the news, we have chosen to tackle the thorny topic of The Public Archaeology of Frontiers and Borderlands. From IndyRef and Brexit to the Refugee Crisis and Trump’s Wall, frontiers, and tensions surrounding the movement of people across them, dominate our news. Archaeological research can provide perspectives and insights into how frontiers and borderlands are created, perpetuated, defined, fragmented, moved, removed and reinvented. Archaeological research shows us that frontiers are not lines on a map, but zones that might possess topographic, economic, social, political, religious and ideological dimensions. Borderlands, meanwhile, need not relate to clearly defined zones either side of a coherent ‘border’. Frontiers and borderlands can thus operate as zones of interaction and creativity, as much as barriers and blockades, in which new identities and perceptions of the environment can be fostered and reproduced. Yet rather than being a conference about the archaeology’s contribution to the study of frontiers and bordelands, this distinctive event will tackle public and critical engagement with frontiers and borderlands past and present. Hence, by interrogating the heritage and public archaeology of many different frontiers and borderlands, from Hadrian’s Wall and Offa’s Dyke to the Great Wall of China and the Berlin Wall, the conference critically explores the perspectives and stories archaeologists can tell about borders as barriers and bridges. Final-year archaeology students will present the results of their research tackling how archaeologists and archaeological research on frontiers and borderlands must navigate complex relationships and political discourses with communities both digital and tangible, contributing to how frontiers and borderlands are conserved, managed and interpreted. This year, the student talks will employ group presentations for the first time. The students will also explore ancient and modern borderlands, as well as fictional frontiers. Finally, we are delighted to welcome three special guest speakers. Together, they afford the students and the audience with insights into new avenues for conducting public and community archaeology in and about frontiers and borderlands. This conference is both a pedagogic exercise and a venue for showcasing original student research. In both regards, we welcome you as we delve into borders and beyond, past and present, with an archaeological gaze. Williams, H., Wills-Eve, B. and Osborne, J. (eds) 2019. The Public Archaeology of Death, Sheffield: Equinox. Williams, H., Pudney, C. and Ezzeldin, A (eds.) forthcoming. Public Archaeology: Arts of Engagement. Oxford: Archaeopress. Williams, H. and Clarke, P. (eds) forthcoming. Digging into the Dark Ages: The Politics and Public Archaeology of Early Medieval Archaeology. Oxford: Archaeopress. The public archaeology of frontiers and borderlands faces particular challenges, not least of which being the limited or non-existent visibility of its subject matter. Lines on maps, long-eroded earthworks, shifting political realities and cultural distinctions all make frontiers difficult to see on the ground, difficult present as heritage, and difficult to relate to the experience of contemporary audiences. Visualisation of long-vanished and no longer meaningful boundaries between territories and peoples thus becomes equally difficult. In my work as an archaeological illustrator, I have successfully used informational comics as a way to articulate aspects of archaeological research, interpretation and practice that are otherwise difficult to present. Over the past few years, I have started to explore ways in which the particular combination of graphic + narrative in comics might help articulate difficult to see, difficult to present and difficult to relate to aspects of borderlands archaeology. Drawing from examples of various comics about both archaeological and historical borderlands, I will demonstrate how mechanics found in informational comics – such as: sequential illustration, story-based narrative, person-centred semiotics, isotypical rendering, etc. – can be used to make the public archaeology of frontiers and borderlands more engaging, more accessible and more visible. What is Offa’s Dyke? The answer depends on when, where, and who you are. It might represent a challenge of endurance if you are a walker, or a constant physical representation of a longed-for separation to a Welsh nationalist. Compare it to Hadrian’s Wall, and the mythologising of a wild Pagan north. Compare it further to arbitrary lines drawn in the Ottoman Empire sand under the Sykes-Picot Agreement in 1916. How long does it take before a border, physical or political or geographical, loses its original designed intent and becomes symbolic of various identities and ideologies? Borderlands are landscapes ripe with conflicting meanings and contested definition. This paper will examine ways in which public archaeology can present interpretations of these difficult places. Examining comments recorded at excavations on Offa and Wats Dyke, reviewing representations of historic borderlands in popular culture, and reviewing the ways that archaeologists and heritage professionals interpret these landscapes, I will invite the audience to critique the way archaeology and the past are communicated to the public. How aware should we be of the myriad associations of places we research, excavate, and publish on? I argue the case that the way we communicate our interpretation is a political act – one that we must take responsibility for and handle with care. Besides its material presence, Offa’s Dyke has existed in the imagination for 1200 years as a metaphorical device and a resource for political and cultural rhetoric. This talk begins by tacking back and forth between points in the recent and more distant past, to explore (inevitably anecdotally) how this has played out, and with what inflections. The Dyke has, therefore (and in common with many markers of historic frontiers and borders), always and inevitably been political: at a variety of scales. While its existence as an earthwork has undeniably represented ‘a line’ (what Cyril Fox as long ago as 1940 termed ‘The Boundary Line of Cymru’), it signalled the existence of something broader: a ‘march-land’ of complex physical, cultural and institutional character. Other dimensions of the political frontier of the 8th/9th century are therefore briefly identified here, therefore, before another fast-forward to the age of the internet and an online discussion of Welsh/British identity based upon a proposition about the true character of the ‘English’ county of Herefordshire and its inhabitants. Rather than dwelling upon the implications of the exchange concerned for Offa’s Dyke, the talk concludes by reviewing a dimension that has rarely been discussed publicly and yet is central to the whole question of its future. This is the view of the expert professional conservation ‘body politic’ concerning the status of the Dyke and its landscape in the cultural heritage of the ‘United’ Kingdom. Some perhaps surprising attitudes were revealed in response to a proposal made in 2010 that the Outstanding Universal Value of the monument should be recognised and promoted. People believe Brexit is a modern problem – it is! Movement and migration has been at the heart of British identity since prehistory. When conducting public engagement, archaeologists need to shift focus from seeing borderlands as defined boundaries, towards perceiving them as opportunities for cultural contact, trade and free movement. Mesolithic archaeology of Doggerland has been used in both sides of the Brexit debate far beyond academia and through the media. However, should archaeologists contribute more to this current political debate in which their work has been appropriated? Could archaeologists be more vocal on social media in using the past to challenge popular misinformation, and provide differing perspectives to the public? We will use three distinct case studies from prehistory to highlight current issues in the Brexit debates from concepts of ‘hard borders’ to the complexities of island perspectives. In comparison with sites such as Hadrian’s wall, the Roman legionary fortress at Deva (Chester) is not generally acknowledged as a frontier in academic discourse and this has significant impact upon the way in which it is presented to the public. The first half of this presentation will look at the effects of academic discourse upon archaeology in the media, in education and in a commercial context; specifically addressing the impact of these issues on the interpretation of Chester for audiences of primary school age. Wat’s Dyke is a 40 mile-long earthwork running parallel to Offa’s Dyke in the Anglo-Welsh borderlands. However, despite its size and historical significance, this monument has not been recognised by the public as frequently as its counterpart. Information and public knowledge on the monument differ between the countries of England and Wales. 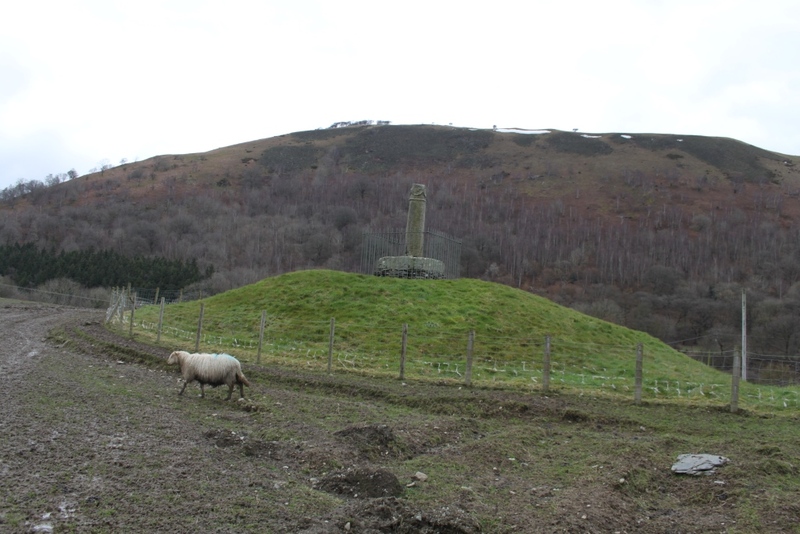 This paper will consider how the monument is preserved, protected and interpreted for the public, comparing England and Wales. This paper will discuss identity through the heritage interpretation of late medieval castles in borderlands. We will explore the identity of people living in and around these castles during the late medieval period and question who identifies with these ruins today. This will be done by exploring castles on the medieval and modern Anglo-Scottish and Anglo-Welsh borderlands, as well considering castles in relation to the maritime frontier between England and France. The paper will investigate the heritage interpretation found at these sites, using several case studies, by focusing on how the identity of the people living at these borderlands is handled, if at all. We will also evaluate, how the different nationalities are represented in the interpretation at these sites. Through this research we will be able to show possible links to modern-day politics, particularly Brexit and the Scottish Independence Movement. This paper will deal with the public archaeology of global frontiers in relation the Great Wall of China through two themes, the presentation of the wall in global media and the racial stereotypes surrounding it. This will be done through its portrayal in books, films and tourist media. The main case study of the Great Wall of China will be compared against Hadrian’s Wall, another global frontier that faces issues with public archaeology perceptions in both these media types. Filmic representations, including Mulan (1998) and The Centurion (2010), will be assessed in terms of their presentation of the frontiers and the racial stereotypes in fiction. In terms of written media, guide books and travel websites will be critiqued regarding their representation of the frontiers. These will ultimately come together to highlight the similarities and differences between these two media types as well as the two global frontiers. The overall aim will be to understand the conceptions of the Wall in the public eye regarding its archaeology and addressing how this could be regarded in the future. This presentation will focus on the various ways in which the archaeology of the Berlin Wall is publicly interpreted and the various challenges that arise; focusing on before, during and after its operative years as an urban frontier. The interpretative challenges posed by the Berlin Wall to pre-Second World War archaeology will be explored, using the Topography of Terror and Invalidenfriedhof cemetery as case studies. Close proximity of these sites to the wall, combined with the current German political climate, has resulted in vastly differing public interpretations. Following this, the wall will be examined during its active years 1961–1989 as a frontier. Focus will be on the landscape of the wall at the time and how it was used as a dividing barrier affecting material culture, migration and politics, how this had an effect on the Cold War German society and is presented today. Contemporary interpretation and heritage of the wall will finally be examined; comparing the differences between foreign and local engagement and the challenges this creates to public engagement. This will be done by considering the stories of the inhabitants of Berlin during the time the wall was in action, and how these stories and views are interpreted today. While all archaeological periods are subject to political agendas, no period is more so than the contemporary. An area where this becomes increasingly relevant is the contemporary archaeology of frontiers and borderlands. In this case study on the contemporary US and Mexican border, the focus will be on the relationship between archaeology and politics: How political bodies use archaeological research and terminology to further their agenda and what archaeologists can do in order to deal with political mis/appropriation. This will be accomplished by examining current archaeological research on the topic, political statements, news articles and social media. The following will be discussed: 1) what agendas politicians currently are supporting with archaeological research and the effect, 2) how much archaeologists are doing to make sure that their research is presented in an appropriate manner, and 3) if there is more that can be done and to what degree it is appropriate for archaeologists to interfere with politics. This paper will focus on presenting the correlation between fictional frontiers in popular visual media, and historical conceptions of walls and boundaries. Contrasting with “the Wall” in both the Song of Ice and Fire book series and the Game of Thrones TV show, concept of walls and borders will be examined in relation to Hadrian’s Wall in an attempt to acknowledge the political and social implications that are being presented to the public. We will examine how both fictional and real-worl walls are considered to operate as physical, cognitive and spiritual boundaries. The attitudes and perceptions of the medieval past revealed via the themes and locations associated with frontiers utilised in Game of Thrones will be investigated. Finally, the public perception of the filming locations will be assessed as to whether these places have become “disneyfied” and what other impacts on heritage conservation, management and interpretation. University of Chester’s Learning and Information Services for videoing the conference. The Offa’s Dyke Collaboratory are pleased to announce a weekend celebration of the 50th anniversary of the Offa’s Dyke Association at Knighton, 30th and 31st March 2019. Details are available via the CBA Wales website here.